A little late to the game, I recently binge-watched season 7 of the Game of Thrones. One thing I noticed is that for all the thick walls, barred doors, and armed guards, most of the castles in the show were not taken through a direct attack on their outer defenses, but rather through infiltration. Invaders circumvented the castle’s defenses using backdoors and hidden tunnels. They even walked through the castle gate while impersonating a resident. SaaS applications that send email—which is all SaaS applications—are similarly vulnerable. As an engineering leader, you may have followed security best practices: training, code reviews, third-party penetration testing, secured your infrastructure, and more. And yet all your efforts could come to naught if a bad actor steals a user’s credentials from that user. 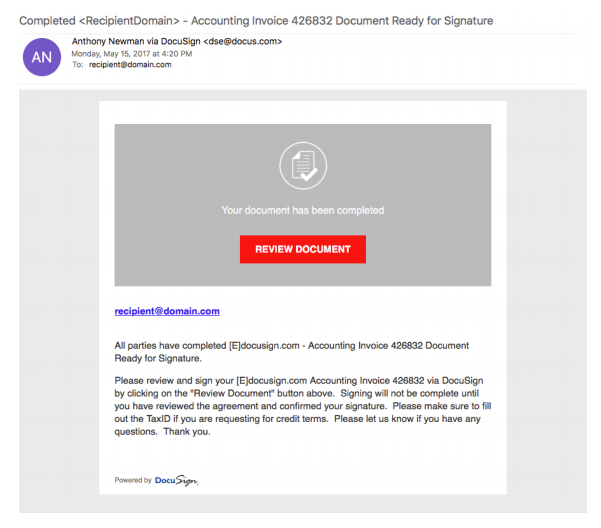 A common approach bad guys take to stealing user credentials is to impersonate your email: a phishing attack. A malicious third party sends your users an email that looks like it came from your application. A link in the email takes users to a website resembling your own and requests their username and password to log in. The attackers now have access to your application, allowing them to walk right through your castle gate. An attack like this—impersonating your application—could result in customers losing trust in your service and present an existential threat to your business. You may believe that you’re not liable for a customer’s internal security training and that there’s not much you can do to stop attacks like this. And you’re right in thinking you can’t easily stop these emails being sent. You can, however, strongly influence whether your users receive these emails. Phishing is possible because, in the early days of email, the small group of organizations using it trusted one another. The Simple Mail Transfer Protocol (SMTP) lives up to the “simple” part of its name. A mail client can send a message by connecting to a remote Mail Transfer Agent (MTA), provide the To and From addresses of the message, and then the message body itself. The SMTP protocol does not specify a way to validate that the party sending the email has the right to send from any given address, allowing the sender to claim they are sending a message on behalf of anyone. Fortunately, new standards are making it easier for companies to protect themselves and their users from phishing. These standards add the ability to authenticate the identity of a message sender. They allow mailbox providers such as Gmail and Microsoft, along with corporate email administrators and others, to filter messages that don’t pass validation and alert the company targeted by phishing to the impersonation attempt. Apple phishing email courtesy of mailguard. The first of these technologies is Sender Policy Framework, or SPF. SPF defines a way to validate that an email message was sent from an authorized mail server. SPF establishes a method for receiving mail servers to verify that incoming email was sent from a host IP authorized by the sender’s domain administrators. It piggybacks on the existing Domain Name System (DNS). While SPF can define which servers are allowed to send messages on behalf of your domain, it doesn’t offer a mechanism to verify whether the message headers or body have been altered or forged. This is handled by DomainKeys Authenticated Mail, or DKIM. It works by using a private key to creating a unique digital signature for the email’s header and content and adding this to the existing headers of the message. The signature can then be validated against a public key in your DNS records. SparkPost domain setup displaying DKIM configuration. The third standard that serves to bring the first two together is Domain-based Message Authentication, Reporting, and Conformance, or DMARC. DMARC is another DNS-based technology that enables an organization to publish their authentication practices, advise receivers on how to treat messages that don’t validate against SPF and DKIM and to request that notifications be sent to the organization when non-authenticated messages are encountered. With these combined standards, mailbox providers can identify messages that have been legitimately sent from your application and ensure that they are delivered to your user’s mailboxes. Those that aren’t may be sent to a spam folder or quarantined, with your team notified. The email purportedly sent from your application asking the user to change their password would likely not have been delivered to their inbox. Your customer’s data may not be pilfered via a frontal assault on your application. Rather, using deception, a bad actor can fool your users into giving away the keys to your castle. There are, however, actions you can take to mitigate this risk and ensure that your customers remain safe. P.S. Want to learn more about preventing phishing and ensuring that your messages reach your user’s inbox? Our Email Deliverability Guide is a great resource. And if you’re implementing email authentication standards, check out our free tools for inspecting and validating your SPF and DKIM records.